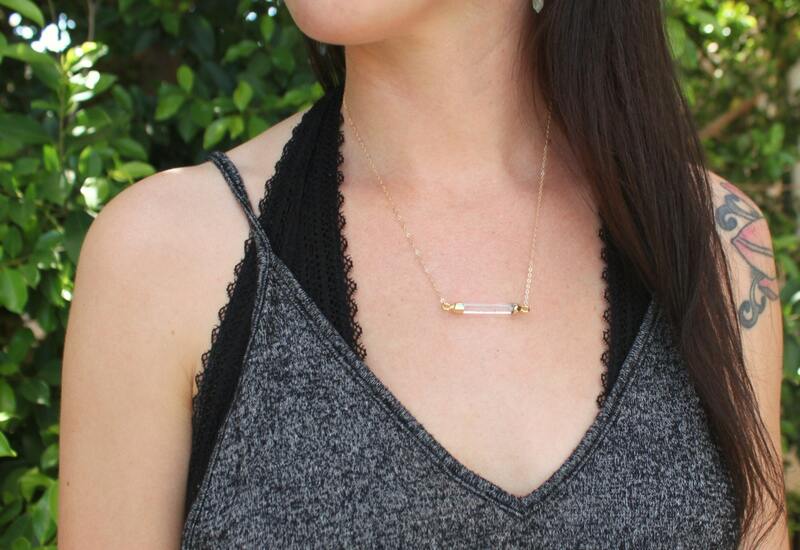 Our dainty crystal bar necklace is the perfect mix of sophistication and shine. Perfect alone or great for layering this glam little bar will be a favorite. 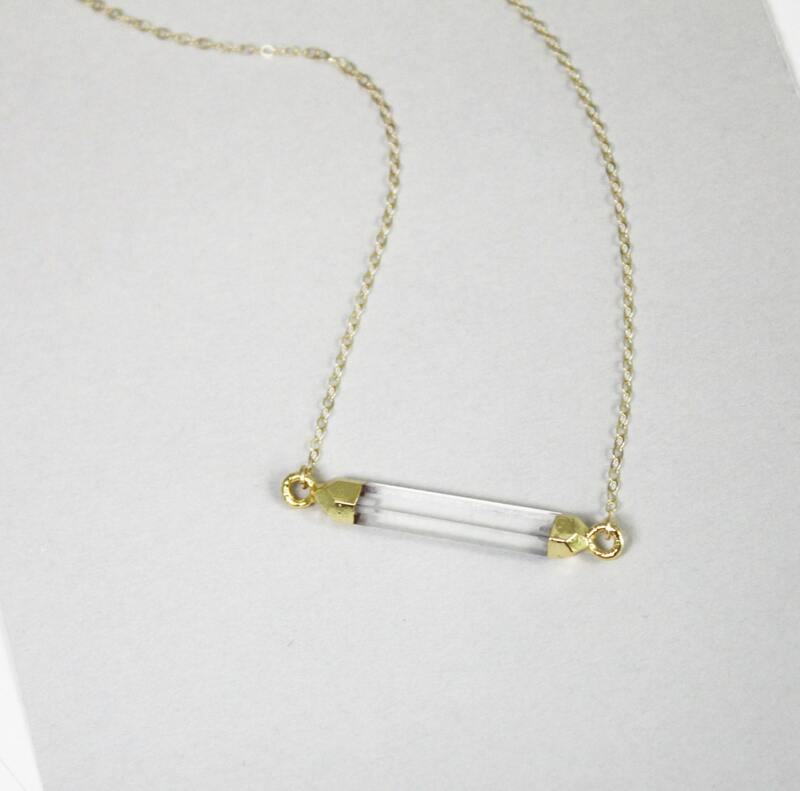 -Natural crystal quartz bar with 25k gold electroplated ends. -Dainty- approx 40 X 6mm end to end. 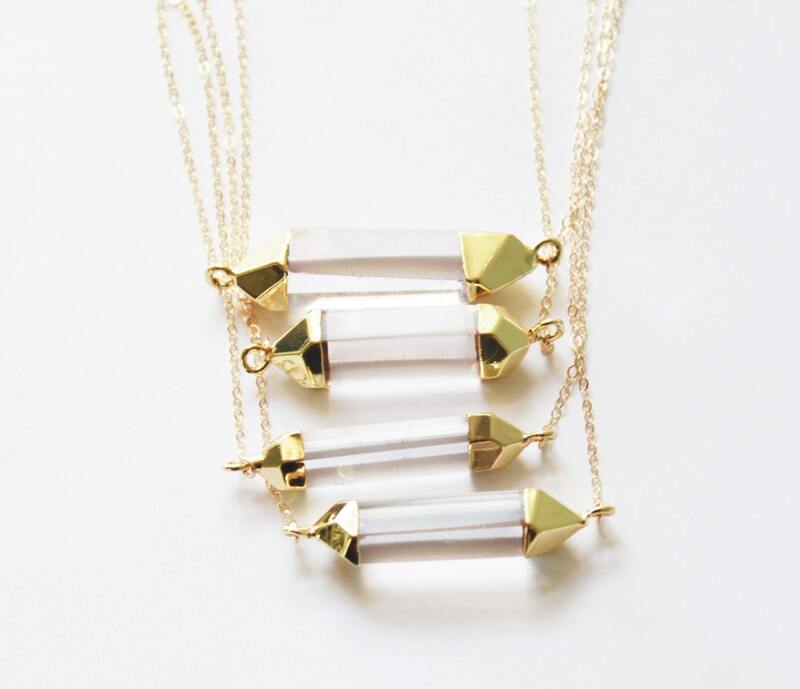 - Listing is for one crystal bar necklace, shown styled in photo 4 with layering options. Beautiful! Even better than pictured ! Love it. 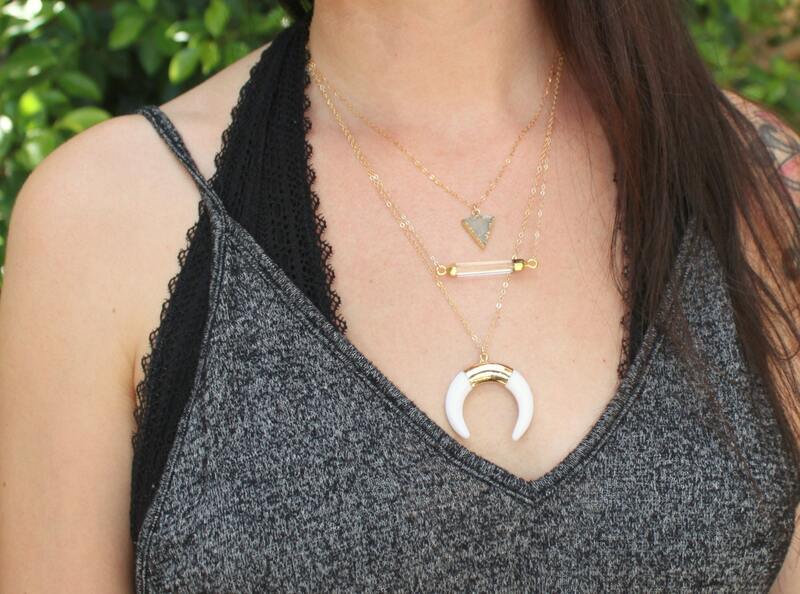 Get tons of compliments when I wear it! Very unique. great product and great service.